In today’s competitive world, running your own business smoothly is never an easy task, there are many ups and downs to go through and your to-do-list is certain to never end. This said, you should never use any excuse to take shortcuts when it comes to having a robust online presence and visibility. 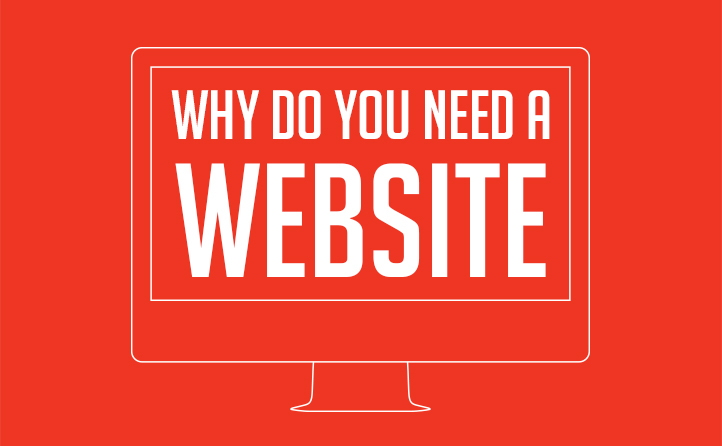 Keeping this in mind, consider these ten reasons why a professional website is important for your business. Let’s face it – today people Google before visiting any shop, visit online review before making any purchase. That’s why you should have the best first impression. Through your website, customers are passing judgment and make their decisions whether or not to take your services. By failing to have a website, you may find yourself steadily losing business to competitors who have made effective use of a great web design. While you may doubt the validity of the need for a website the likelihood is that your competitors have embraced the potential and are making use of the round the clock advertising. Studies have shown that a many people conduct their research on potential products and services online before using it. By failing to have a website, you are failing to promote your services within a huge proportion of the market. There are several different time zones that may indeed affect your business, that’s why being online makes it time convenient for everyone. Being on the web, you aren’t that a simple local small business anymore, you can effectively business across the world. Undoubtedly, the Internet is the best way to trade both nationally and internationally. By giving answers to customer’s queries on your website, information and sales requests can be processed instantly and automatically. Using contact form people can directly request a quote or any other information even at mid nights. For a small or new business, a well-designed website is the best way of instilling self-confidence and looking superior to you actually are. Whatever you’re promoting – products, services, or just yourself – a professionally designed Website is a great way to do it. Websites are like catalog/brochure that is easily produced, updated, interactive and quickly distributed to the people looking for them. Through your website, you can use forms and surveys to collect information about your customers and prospects. This information can be further used to maintain a relationship with clientele. We at iNFOTYKE believe that people have a hectic schedule and don’t like to wait for information. Through website businesses can give them what they want, and moreover when they want. By now it’s very much clear that if you are not having a website, you’re indeed missing out on good possibilities for customers to know who you are and the services offered by you. This said, it’s better to have no website than to have a bad website. Though no website means missed opportunities, but a bad website can certainly be worse as it makes your business appear bad. We at iNFOTYKE know what it takes to make a business successful, and thus help businesses to mark the entry into the new digital business world.